The European Union (EU) had much reason to celebrate on February 11, a day in which it celebrated 112 Day in recognition of the single European emergency phone number system that uses Advanced Mobile Location (AML) to receive location information from mobile phones. 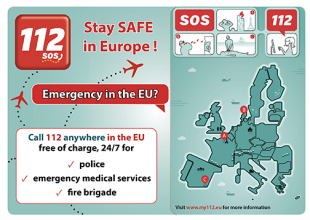 Europeans can dial 112 for free in any EU country if they need to contact emergency services, thanks to EU legislation introduced in 1991. According to the EU, an average of 255 million mobile emergency calls are made every year, and the HELP 112 program helps to provide accurate caller location for people in distress. Each year, about 300,000 people who call the emergency services cannot describe their location for a variety of reasons — they may not know where they are, they may be too young to say, or too injured to communicate. 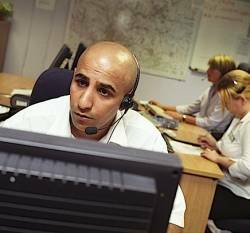 In these situations, knowing the exact location of the caller can help emergency services to react quickly and possibly save lives. Today’s mobile and smart devices are able to provide emergency services with accurate caller location via an SMS or data channel by using built-in GNSS or Wi-Fi capabilities. A report published on February 11 shows significant improvement for caller location in several EU countries. Lithuania upgraded its network based location solution to ensure significantly more accurate caller location. The United Kingdom (UK) and Estonia deployed the AML handset-based caller location solution which can locate a person to within 100 meters. An EU-financed project – HELP 112 – looked into how GNSS can improve caller location using the AML solution. It was tested in the UK, Lithuania, Italy and parts of Austria. Currently AML handset-based caller location for emergency services is available only on Android phones. "I welcome this very important step which helps people in distress and showcases how digital technologies can make our lives safer. I hope that in the future all Europeans will be able to benefit from more effective emergency services thanks to caller location solutions," said Andrus Ansip, Vice-President for the Digital Single Market. Galileo is helping with this improved accuracy and playing a key role in the emergency call systems. EC Commissioner Elżbieta Bieńkowska, responsible for Internal Market, Industry, Entrepreneurship and SMEs, said: "Satellite navigation is crucial in determining the precise location of the 112 caller and saving lives. Galileo, Europe’s own satellite navigation system, will be able to locate the caller with much greater accuracy. The launch of Galileo’s initial services and first Galileo smartphones available on the market show how space data is making a difference in daily lives of EU citizens." The technology has already saved lives. HELP 112 tested the AML solution which was initially developed in cooperation between national authorities and industry in the UK. Thanks to this technology, Lithuanian emergency services assisted a young boy who called from home but did not know his address. Emergency services were able to pin down his location and saved his father who had suffered an epileptic seizure. In Austria, woman riding a horse fell on her head and was unable to describe where she was. GNSS provided emergency services with her exact location within seconds, so she could be rescued, the EU reported. In addition to funding research, the Commission is also improving EU rules on 112. Last September the Commission proposed an update of EU telecoms rules in the form of an Electronic Communication Code. The Commission wants to enhance the relevant provisions of the Universal Service Directive in order to facilitate the use of handset-based caller location to complement the network based location data. According to the proposal, member states will be obliged to ensure that caller location, be it network based (provided by the mobile operator), or handset based (retrieved from a GNSS or Wi-Fi-enabled phone), arrives in a timely manner to the Public Safety Answering Point which handles emergency calls. Notwithstanding the technology used, caller location will be free for citizens and the public safety answering points.